In Switzerland, it is now considered abuse to flush a live fish down the toilet. Swiss officials announced this week the implementation of new animal protection laws that require a dignified death for a fish and a chance for pigs to get a shower. Fish are to be protected under the Swiss legislation for the first time ever in response to the government’s acceptance of studies showing that, like other animals, fish do suffer. Under the new legislation, aquarium fish can no longer be flushed down the toilet alive, but must be stunned and killed first. Aquariums in Switzerland must no longer be transparent on all sides. And, the legislation also includes the social aspect of fish, saying it will be considered abuse for a sociable fish to be kept alone. The new legislation spells out how domestic animals should be treated, whether family pet, farm animal, or animal used in animal experimentation. 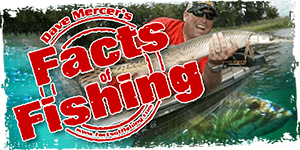 Anglers will no longer be able to participate in catch and release fishing and will not be allowed to use live bait. Realizing that animals benefit from being around their own kind, hamsters and parakeets can no longer be kept by themselves as well as a variety of other farm and exotic animals. The legislation also said there would be no more ear or tail docking for dogs. And people will be required to take a class on understanding their dogs so that their friend will be raised with good manners -- and will be less likely to bite. Pigs, who cherish their moments in the mud, will now be entitled to a shower under the new law. But just like kids, they will, no doubt, be wallowing around again in the mud.